I have been begging Nic to let me paint their room, but he doesn’t wanna deal with the mess. As much as it irks me to admit it, he’s right. Especially because we’d all be trying to live in the RV as the paint dried. That, mixed with kids and cats, is most likely a recipe for disaster. So…I came up with a solution. I hate our RV’s original walls and white walls remind me of a time during my adolescence that I try to not think of. The solution, was to staple a sheet to their walls. I know, I know. It sounds kinda ghetto…but I think it turned out nice looking. I’m thinking of buying some pretty (and something that matches their rug) colored ribbon to hot glue to the seams. That will help to hide the staples. If I go that route though, it’s not going to be for a while. There are more important things demanding my time these days. The wrinkles will go away eventually…I loathe ironing. Oh, to do this project, I used a King & Twin size flat sheet that I got from Wal-Mart. It came time for us to sit down for lunch. Dad took our order to pick us all up Subway. After some time passed though, he called me to say the Subway he visited was still under construction and not open yet. *rolls eyes* And…he was lost. *rolls eyes again* Lol. He shoulda just taken me up on my original offer in the first place. I offered to make everyone sandwiches, so he didn’t have to leave. I gave him directions to get back to our home and eventually he found his way. I made everyone some yummy foodies and he told us his story of asking the construction guys for directions to get here. Apparently, they were staring at him funny while he was talking to him though. Once he arrived home, he realized he still had a bright orange barrette in his hair that the girls had stuck there while playing earlier! Boy! I woulda loved to witness that, haha! Papoo had to leave shortly after lunch because his friends were taking him to a baseball game! How exciting! We bid him farewell, kissed him goodbye, piled back in the house and set back to work stapling more of the sheet up. Later, after Nic arrived home, I told him of my grand idea to solve our “clothing/toys storage & needing a new dollhouse that fits” dilemma. Those square cubby shelving units with fabric drawers that are all the craze these days. They can be stacked, some can even be adjusted, and if we eventually wanna makeover their room again, all we have to do is buy different colored drawers! 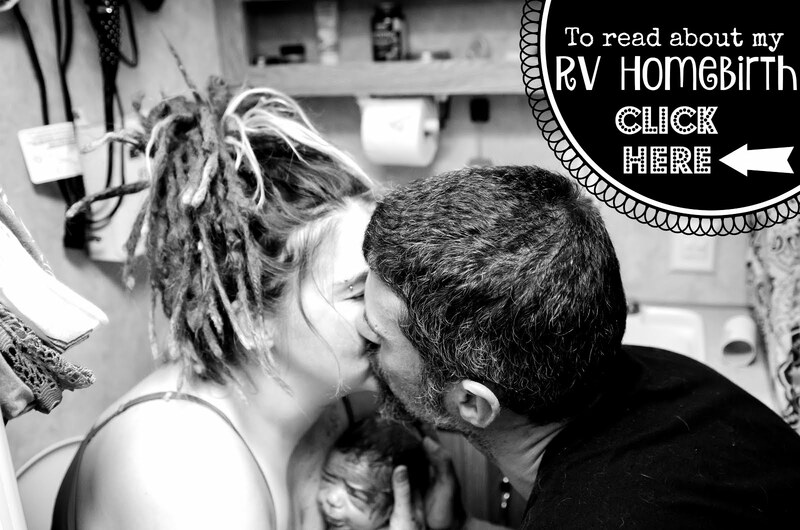 If we ever move out of our RV, we can take it with us, too. When the girls are playing during the day, they can take the toys out of their drawers, remove some of the drawers and set them on their bed and use the shelf as a dollhouse to be set up at their discretion. At the end of the day, they only have to scoop their toys back into the drawers and replace them back in the shelf and their room is instantly picked up! It’s a win-win-win! After consulting some ladies on the Fulltime Families RV Facebook group I’m a part of, I decided to go with Lowe’s to purchase them. We spent $200 ($100 for shelving-$100 for drawers) on a Stackable 3 Shelf organizer, 2 non-adjustable 6 & 9 cubby units and 17 of the fabric drawers (2 eggplant purple & 6 green for Cindy & 9 teal for MHG). It was kinda pricey, but when you consider the fact that they are dressers, toy boxes and a dollhouse all rolled into 1 (and they match the bed Nic built), I think it was a good deal. They will each have 4 drawers for toys, Cindy will have 4 for her clothes/their spare bedding and MHG will have 5 for her clothes. They do not come with enough backings for every single cubby though, so what I’m going to do is staple fun colored fabric to the backs of the cubbies that are lacking. By the time we got back home, made dinner and fed my family, it was starting to get pretty late. Nic fell asleep, exhausted after a long day’s work, so I took it upon myself to start assembling them. I managed to put the 3-shelf unit together, and the 9 cubby unit. I was unable to hammer all the backings on it though. Nic woke up and told me to get the girls to bed, lol! (I get tunnel-vision when I’m focused on a task that I really dig.) It wasn’t hard to put them together though. It’s all starting to come together nicely. I still have a lot more to do tomorrow, but I’m gonna enjoy the time we have with Papoo before he leaves. He heads out at 2:30 to catch his flight back to Colorado Springs. We wanna make the most of the time we have left with him, so goodbye for now. Part 2: Did We Make It In 1 Day? Part 1: Goodbye Phoenix, Hello Colder Temps! Look What I Built All By Myself! The Great Bedroom Swap…Finally Finished?